I have to apologize for not having posted anything in quite some time. Between my day job, our work at home, & just plain life, I haven’t taken the time to write to you all. Please forgive me. First & foremost lets get straight to the title of this blog… “Through Hell or High Water..” our communities in Southern Alberta have been literally pushing through Hell or High Water. 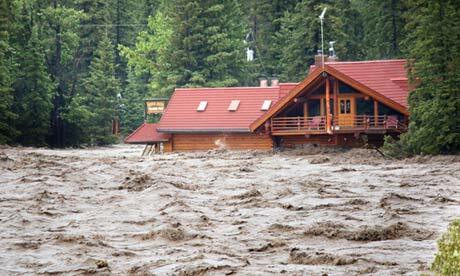 Last week Alberta seen one of the largest Natural Disasters in Canada. FLOODING! Starting off in Canmore, Banff, Calgary, High River, Okotoks, Longview, Medicine Hat, Red Deer, Drumheller, & many small communities & farms in between. With all the snow we got throughout the 6 months of winter.. to the continuous rainfall that had occurred late this spring, something was going to break at some point. Little did we all know it would be such a devastation! Words gather interest…. pictures hit home. 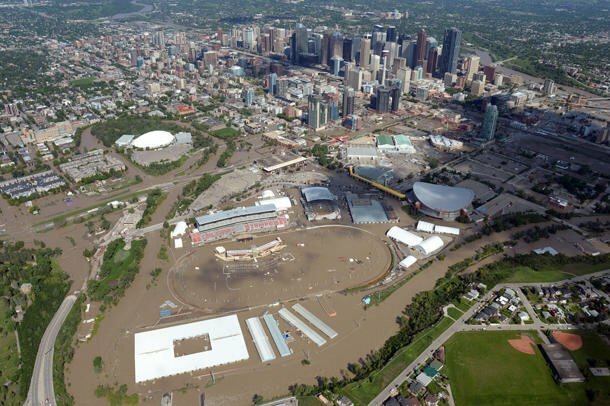 When I heard Calgary was flooding (the major city center for millions of people) I knew it was going to be bad… but I didn’t realize how bad until I saw pictures! I believe this is a home in Canmore.. Here is a picture of where the flood affected the Trans Canada Highway near Canmore. The Calgary Stampede will be going on. People are working hard to get these grounds whipped back in shape. The Stampede brings more of Calgary together in 10 days than one can imagine! It shows off the flare & spirit Calgarians have! Its an uplifting event, showing where Calgary has came from, & helping us to stick to our roots! This event has been traced back to 1886, but in 1912 it was labelled as the Calgary Stampede by Guy Weadick. I think its amazing that they are working hard to keep the spirit of the city alive! Much like life… The Show Must Go On! Here is a picture of inside the Calgary Saddledome where the Calgary Flames play! 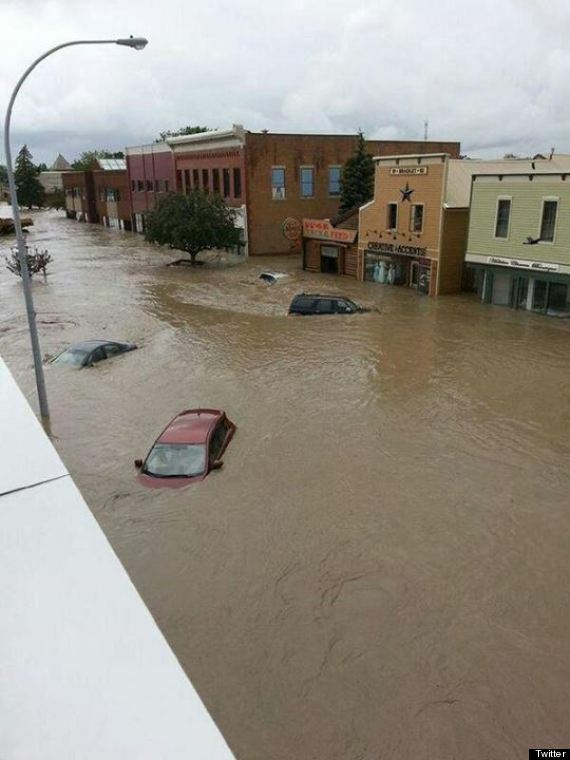 High River took one of the biggest hits! The whole town was nearly underwater. In true farm town fashion people were being evacuated from their homes from tractors to combines. Now that the water has receded, people are getting down & dirty! Volunteers are coming out from all over the province, with their rubber boots, face masks & a kick a$$ attitude. Helping their family & friends, their neighbors, co-workers, & strangers to get their life back into gear. To push through the hard times, to help them see the light at the end of the tunnel, & to show them they are not alone. The Alberta spirit could not be any stronger. It makes me proud to be an Albertan! Tomorrow night the Calgary Stampeders will be kicking off the season against the BC Lions at McMahon Stadium in Calgary, AB. I feel this is something the city could use right now. A few hours to clear their heads, rest their bodies & a quick escape from reality. The Stamps will be working hard to make you PROUD Calgary & surrounding areas! The flood may bring everyone together in the bad times… but the Stamps bring everyone together for the good times! & I know everyone could use a little GooD times right now. I am going to keep this short & sweet seeing it has been plastered all over the news for a good week now. I cannot begin to imagine what everyone is going through at times like these. But I am thankful that we live where we do, that we have that sense of community no matter how big the city may be, & that we aren’t scared to work hard & stand strong for one another. A Huge shout out to all the volunteers donating time, effort, homes, vehicles, food, money, clothes, etc! Thank You!!! Be it Hell Or High Water! Stay Safe.. Stay Positive.. Stay Strong Alberta!